Check underneath all your sinks to make sure there are no hidden leaks. Another place to check on your leak search is the washer hose connection. Sometimes the view of the connection is obstructed so you may not see a leak immediately. If you do have a leak, get it repaired quickly—water is not your friend unless you are floating on a raft in your pool. Time Needed: 15 minutes or less! Your air conditioner is doing full-time duty right now, so make sure it is at peak performance. Change the AC vent monthly before it is too clogged to cool! Estimated time: 5 minutes! It’s backyard season! Be sure your family and friends can enjoy the outdoors without getting a tetanus shot—that is no fun! Loose screws, nails and splinters can injure people and kill the fun at a backyard BBQ. Inspect all outdoor furniture and outside play equipment (swing sets, trampolines, pools, etc.) for possible dangers. Tighten bolts, check for rotted parts and fix any other unsafe problems before they end a day in tears. Estimated time: 5-45 minutes! All this rain has made tree limbs heavy and they are falling like crazy. Be sure to cut dead limbs and dead trees so that the extra water weight doesn’t drop them on your house. If you can do it yourself, even better; however, if the limbs are over your house or close to the house, I would recommend a professional. Paying for a “haircut” is still cheaper than a roof coming through your ceiling! Estimated time: Varies—30 minutes for some light DIY trimming to half a day for big tree choppin’. Inspect your fence for loose pickets, rotten posts or any other damage and make any repairs needed. Be sure that any damage is not from wood destroying insects. If termites are present, get it treated immediately—they won’t stop eating until treated. Time needed: possibly a few hours depending on how much repair is needed. 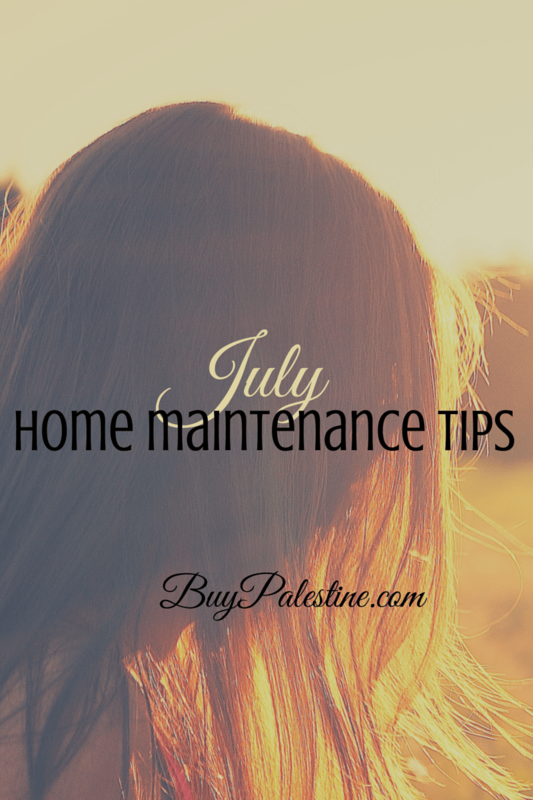 Unfortunately, houses don’t take summer holidays, so you’ve got to stay on top of your house maintenance in order to keep everything in tip-top shape. However, don’t forget to enjoy the days of summer—after all, what fun is a perfectly maintained home if it isn’t enjoyed with friends?